22- 31 May, maybe longer Canolfan Beaumaris Gallery, Anglesey. 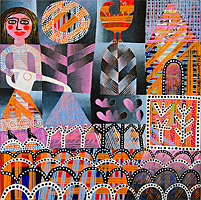 Prints and ceramics, solo show as part of the Gwyl Beaumaris Music Festival. 26 – 28 July Potfest in the Park, Hutton-in-the-Forrest nr Penrith, Cumbria, ceramics. 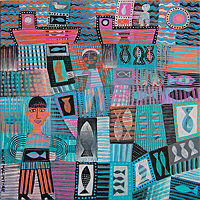 3- 11 August Pittenweem Arts Festival, nr St Andrews, Fife, ceramics, linocuts and paintings. 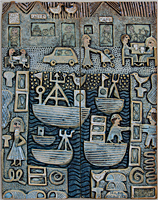 12 Oct – 11 Nov Pyramid Gallery, York, Ceramics and linocuts in exhibition together with Ian MacIntyre.